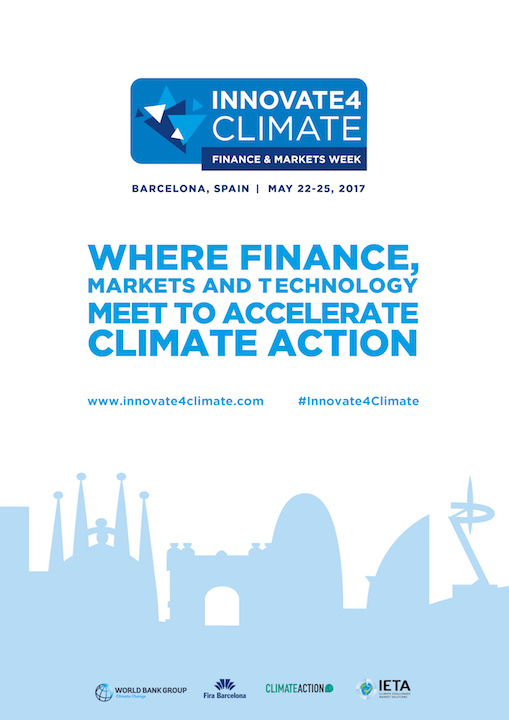 22nd – 25th May 2017, Barcelona – Carbon Africa is proud to be taking part in the first edition of the ‘Innovate4climate: Finance and Market week’. The event was jointly organised by the World Bank group, Fira de Barcelona, IETA and Climate action, with the support of the governments of Spain and Germany. Carbon Africa’s involvement included participation in a panel discussion on the next steps to enhance the role of private climate finance in supporting the implementation of Nationally Determined Contributions (NDCs). The exciting new event provided an opportunity for global dialogue among governments, multilaterals, businesses, banking and finance leaders shaping the next generation of climate finance and policy instruments. Participation in this event reaffirms Carbon Africa’s commitment to contribute to the next economic revolution towards low-carbon and climate resilient development.